Pig lovers rejoice! Cochon555 is in town this Sunday, March 21st. Mark Ladner from Del Posto, Corwin Kave from Fatty Crab/Fatty 'Cue, Marco Canora from Hearth, Adam Kaye from Blue Hill New York, and Gavin Kaysen from Cafe Boulud will engage in a little friendly competition each preparing a 125 pound heritage breed hog from head to toe. Count us in...! will be on hand showcasing their wines. Watch whole pig butchering demonstrations by VIP Butchers Tom Mylan from The Meat Hook and Resident Butcher Ryan Farr from 4505 Meats, and enjoy over 750 lbs of swine, great wines, brews and piggy desserts. Guests and professional judges will determine a winner based on presentation, utilization and overall best flavor with the winner taking the title "Prince of Porc". Want one more reason to attend? 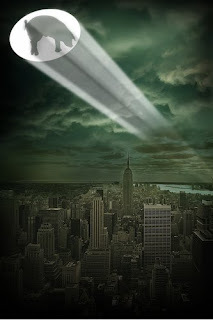 Our pal Rhonda Kave of Roni Sue Chocolates will be there cheering on her son defending NYC champ Corwin Kave. Rhonda will be serving BaCorn (originally created for last year’s Cochon 555) and their newest bacon-centric creation the Fuster Cluck to the crowd. 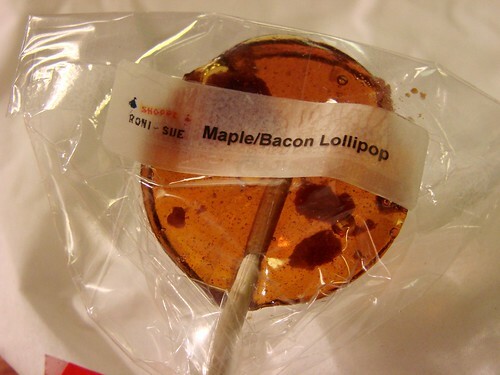 And according to Rhonda, everyone gets a Maple Bacon lollipops for the road. Tickets $125 general/$175 VIP, click to purchase online. The Prospect Park Uncle Louie Gee's Returns! And This Little Piggy Went "Oink, Oink"
Celebrate Pi Day with Raspberry Rhubarb Pie! Can I Get a Fried Cupcake? Hells Yeah!